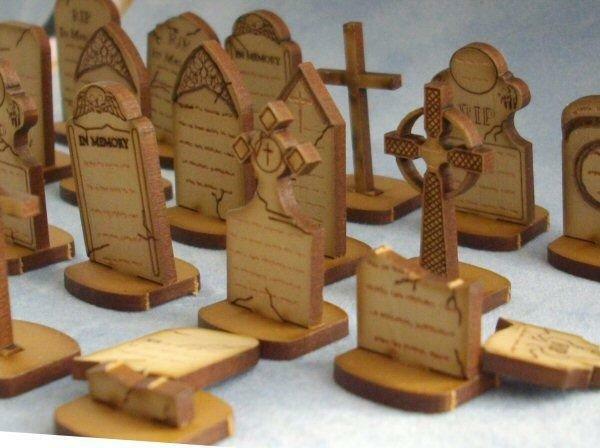 1/48th scale grave stones for your church yard or spooky mansion. 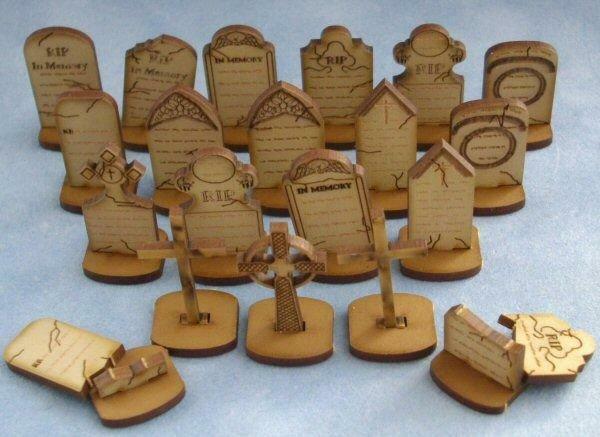 20 graves in total. 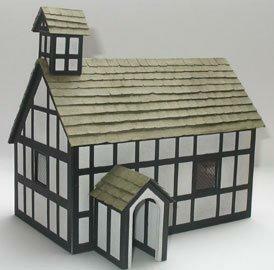 Kit is made from card and pre painted in a pale stone colour. Kit can be left as it is or you can paint to suit your requirements. Graves measure approx. 22mm - 28mm tall including base. 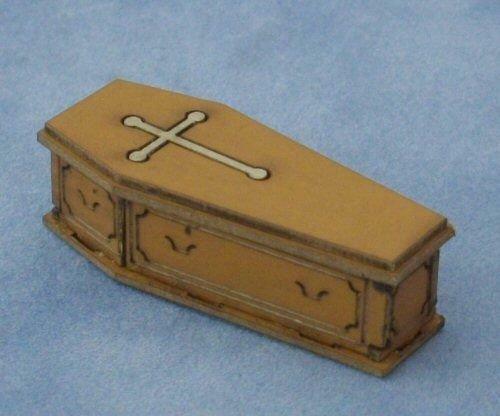 Can be used with base or use the little tab to push into your own scenery.